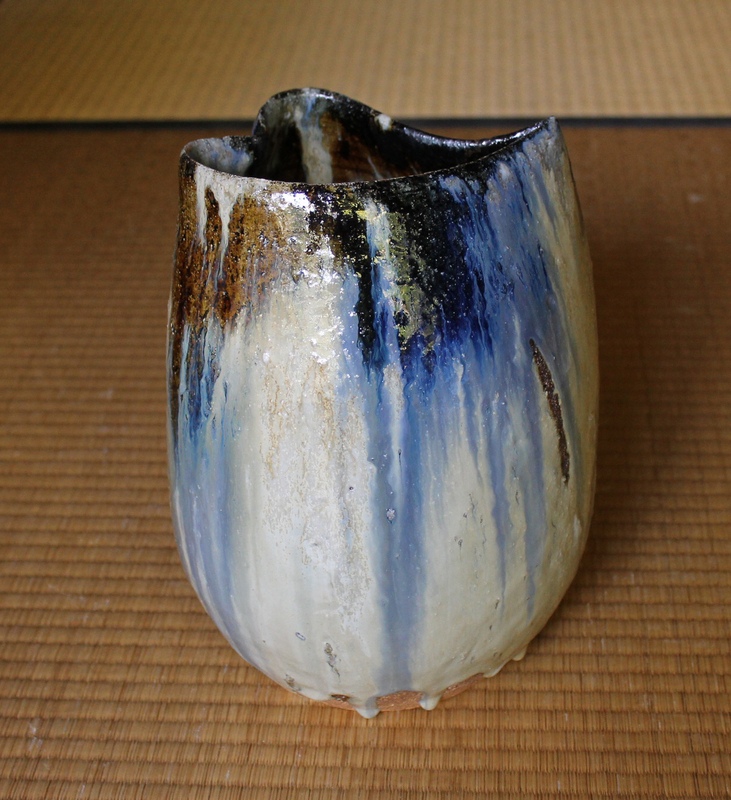 RYYG has been a fan of Kimata Kaoru’s (b.1967) works since moving to Kyoto. 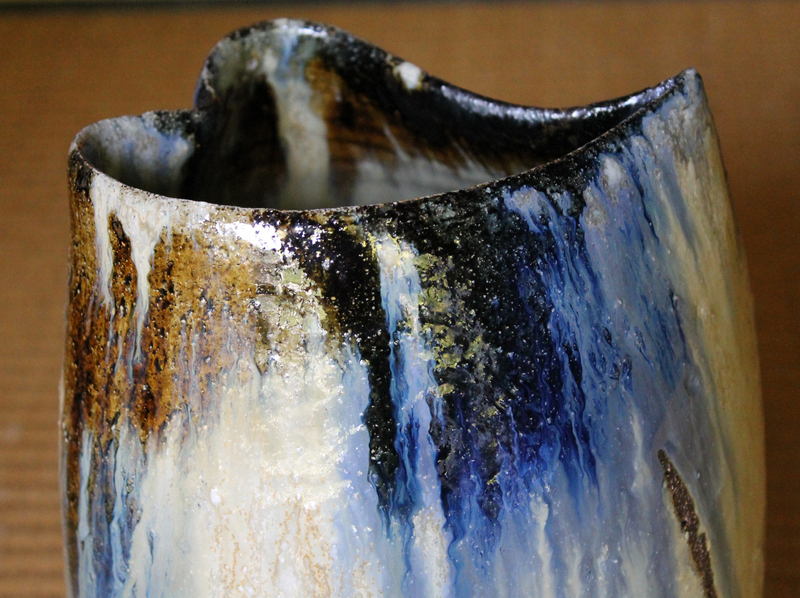 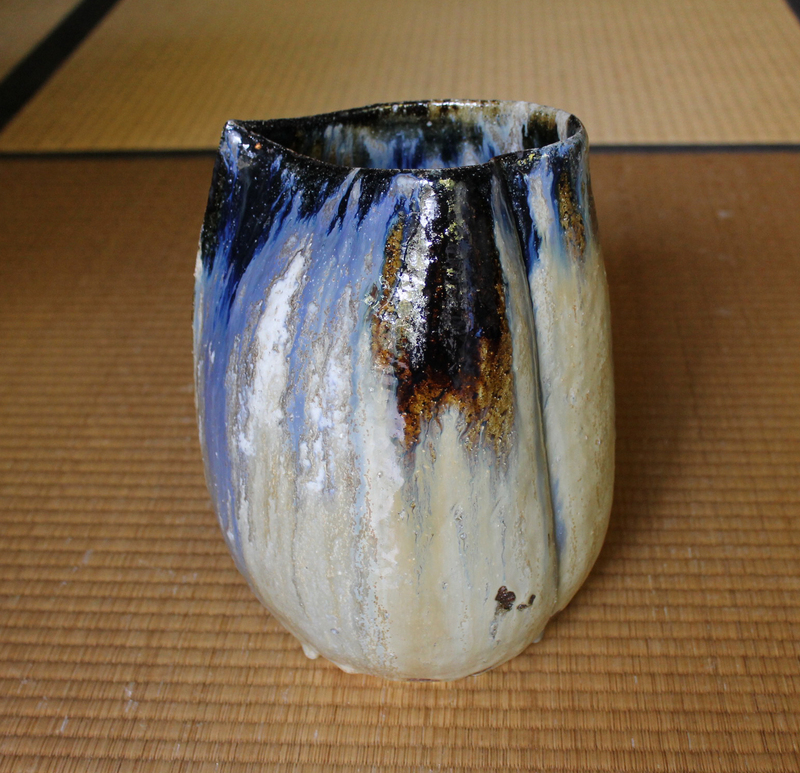 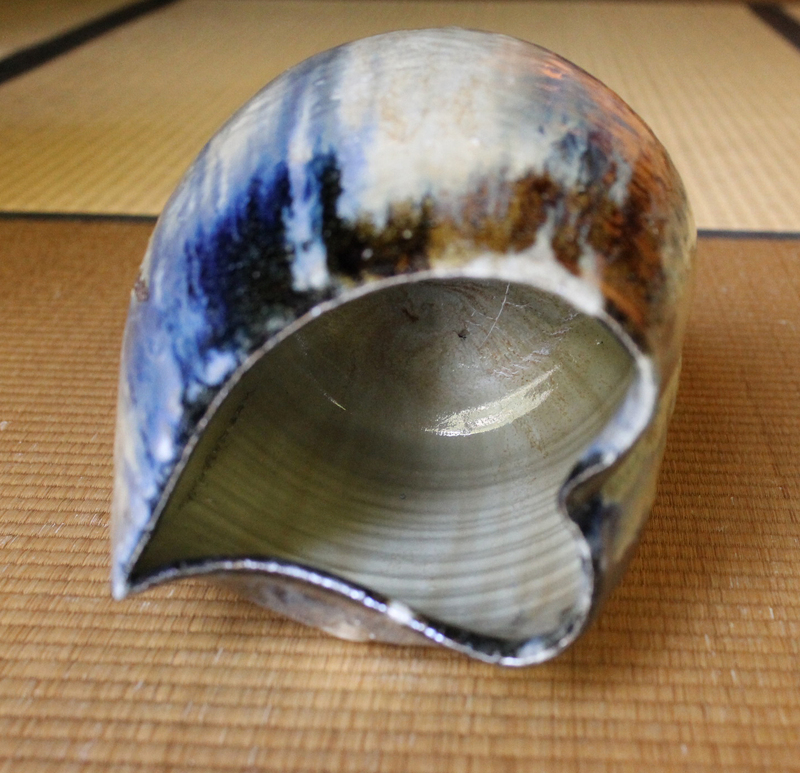 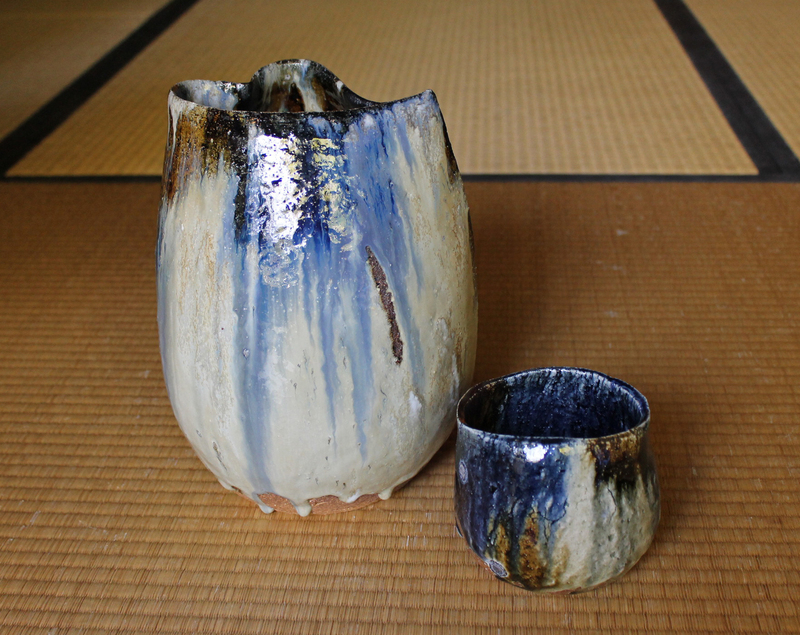 She studied in Karatsu and there mastered various ash-glazes and then made them into her own ‘blend’ as clearly seen on this multi-colored-engaging form vessel. 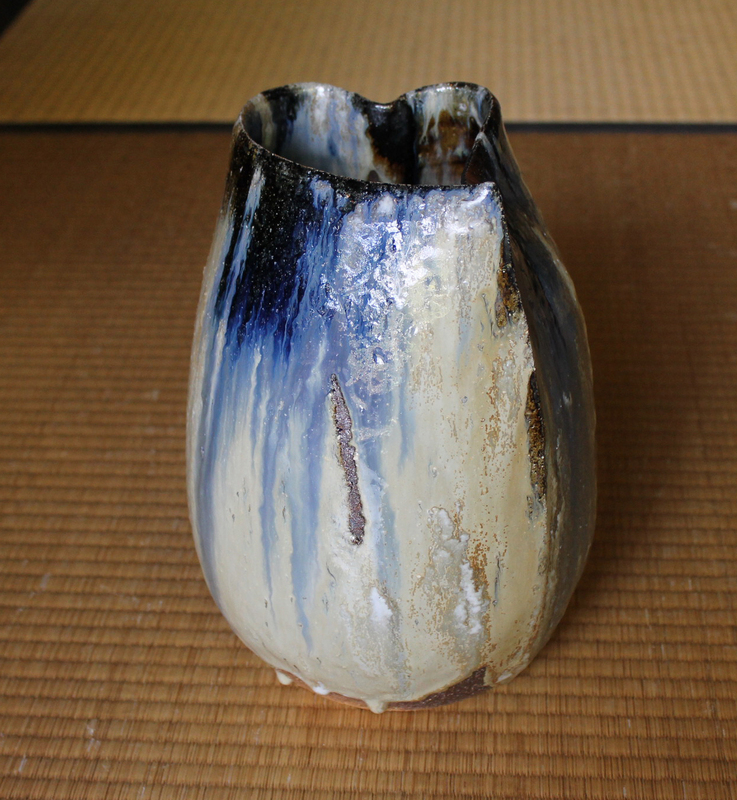 Kimata moved her studio to Kobe in 1995 and exhibits throughout Japan in group and solo exhibitions. 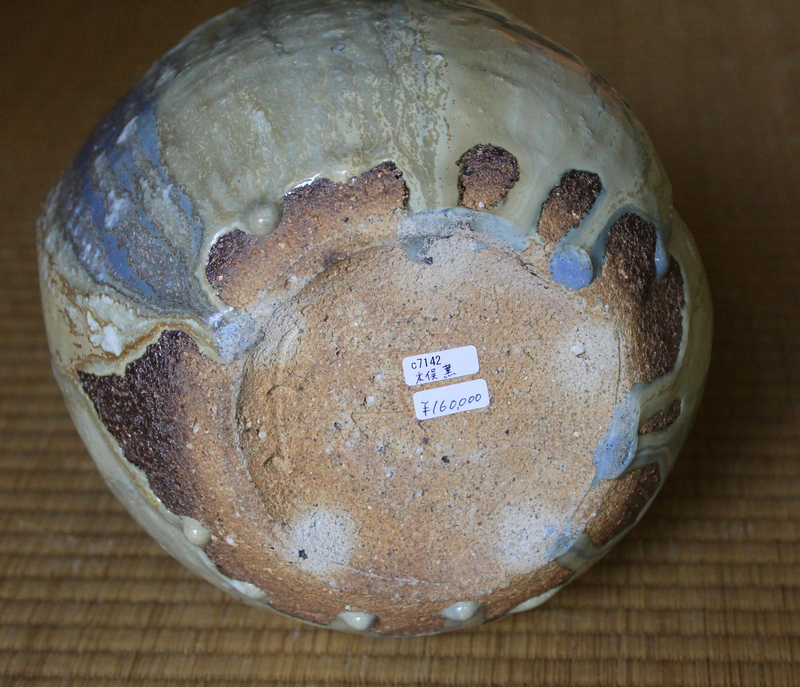 In perfect condition with a signed box, 26.7cm.tallx20.3cm.x19, signed on base. 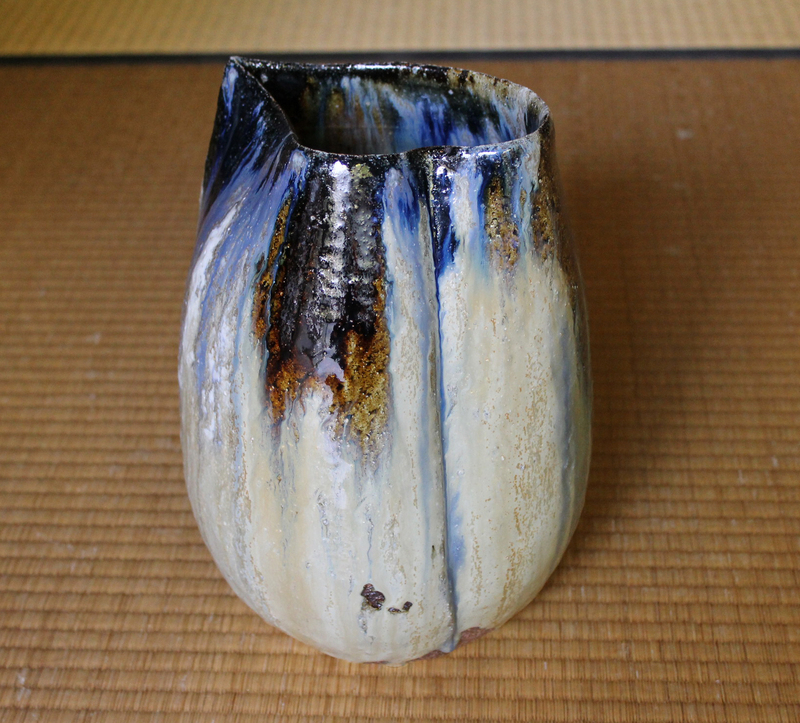 Also seen is a Kimata chawan.